Aparthotel Villa Magdalena Villa Magdalena is first exclusive 4-star hotel in Hrvatsko Zagorje, placed on the beautiful hill in the center of Krapinske Toplice with unique panoramic view. 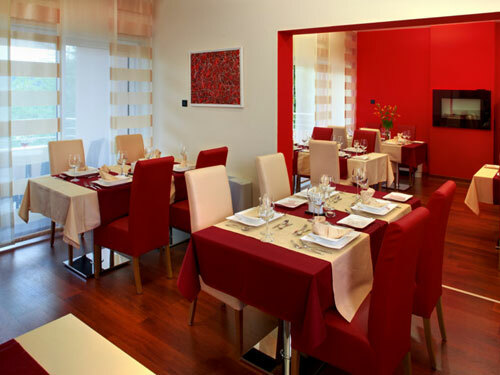 Aparthotel Villa Magdalena Hotel disposes of 9 accommodation units: 8 suites and 1 double room. 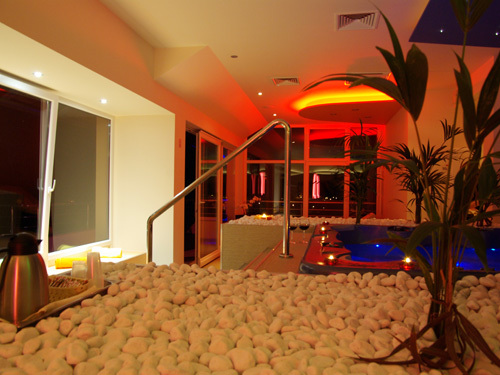 Suites are modern equipped with one interesting detail: jacuzzy with thermal water and chromotherapy. 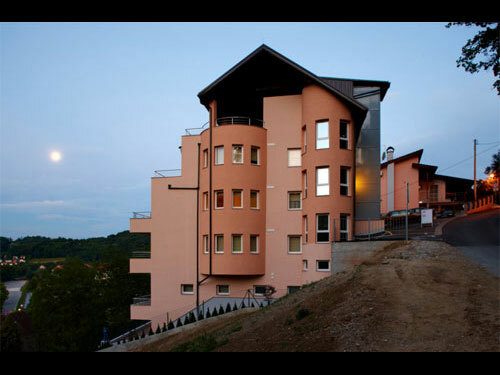 V illa Magdalena is first exclusive 4-star hotel in Hrvatsko Zagorje, placed on the beautiful hill in the center of Krapinske Toplice with unique panoramic view. 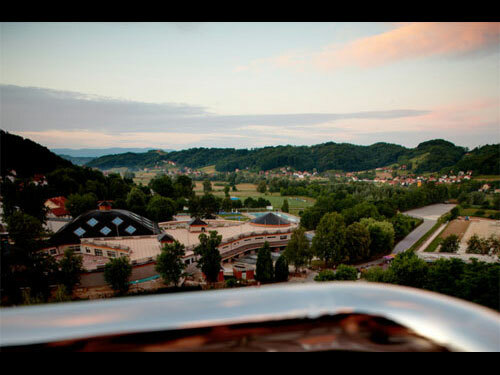 Krapinske Toplice is famous thermal spa situated in a peaceful and lovely valley surrounded by the pitcuresque hills. The place has been well-known for its natural, therapeutic water and specialized hospitals. Hotel is a proud member of International Organization "Service d' information Code Diplomatique and Consilaire". 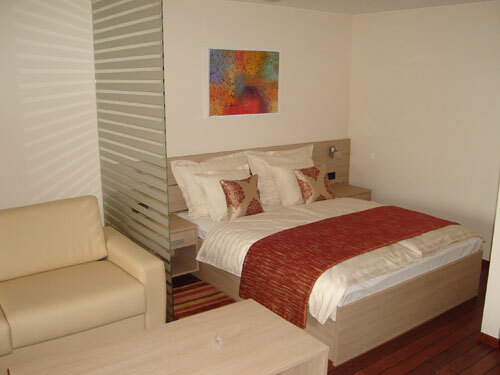 Hotel is built and furnished in modern style. It is open all year around. 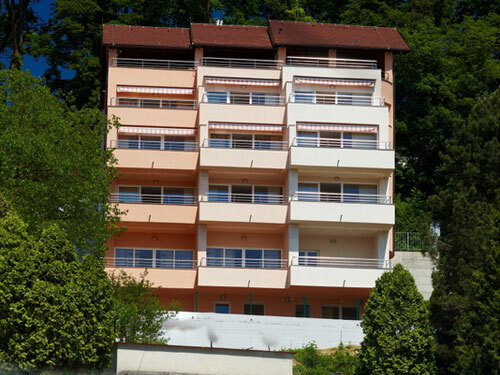 Hotel disposes of 9 accommodation units: 8 suites different sizes (37 m² – 54 m²) and 1 double room. 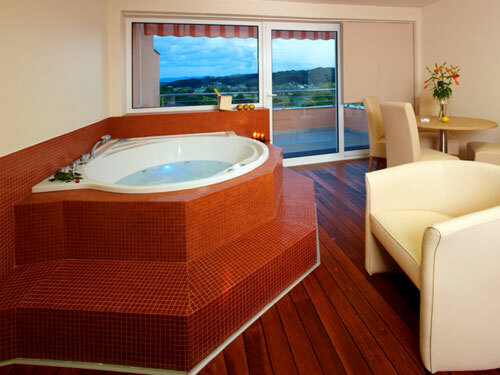 Suites are modern equipped with one interesting detail: jacuzzy with thermal water and chromotherapy. Equipment and cosiness give you the sense of warmth and intimacy, so the hotel is not just the place of rest but also the place where you can enjoy spending time and take pleasure in using all services and contents. Each suite has living room with jacuzzy, bedroom, bathroom, kitchenette, spacious terrace. 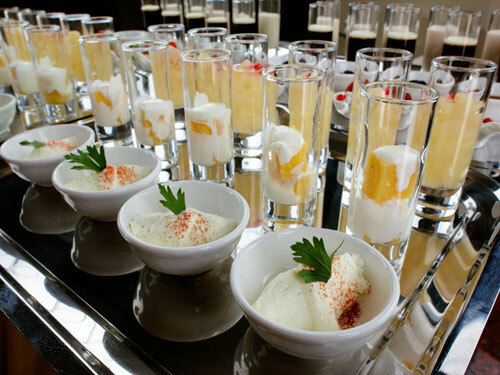 As a part of the hotel there is a restaurant with panoramic view which can offer delicious cuisine inspired with modern elements of French and Italian food. Our restaurant is a place where you can enjoy finest croatian wines and carefully made and served food which is based on "fusion" cousine. "Fusion cousine" combines different flavours, spices and groceries. 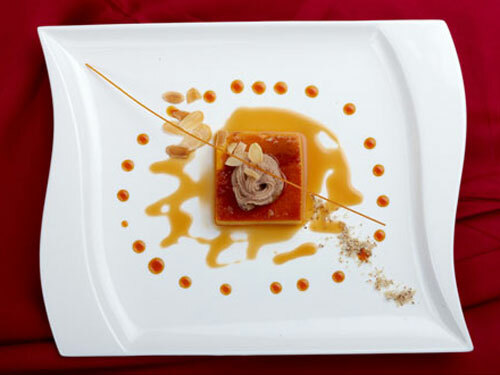 Fusion cousine stands for traditional meals made and served in modern way. We are inviting you to relax in massages performed by trained and certified persons. 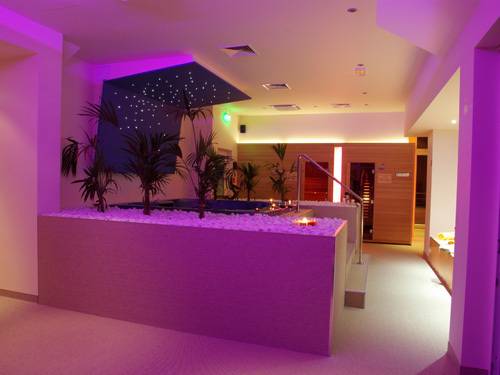 We are offering classical and far East and holistic treatments. Soon we are opening small wellness center on the highest floor of the hotel with a small pool, steam and Finnish sauna and magnificent panoramic view.